Flavored honeies have small amounts of natural fruit extract flavored added into to our Cold Packed raw, unfiltered Sage honey giving the honey an extra kick that the bees cannot produce themselves. Today, almost all sweetening in food, confectionery, beverages and pharmaceutical industries is done by invert sugar syrups / glucose fructose syrup for distinct advantages like taste, flavor, texture etc.. Witnessing their growing requirements, we, Ramkripa Agro Foods Pvt. 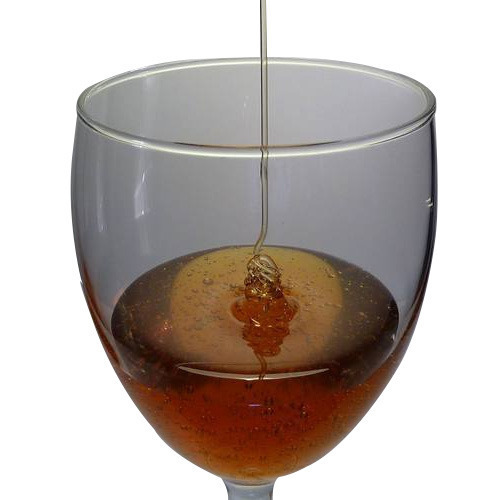 Ltd., are committed to provide quality invert sugar syrups in the market. With a humble beginning in 2007, we have registered an enviable position of noted manufacturer and exporter of Food Grade and Pharma Grade Invert Sugar Syrups. Widely demanded, our product range includes Pharma Grade Invert Sugar Syrup, Honey Grade Invert Sugar Syrup, Bakery & Confectionery Grade, Non Alcoholic Grade Invert Sugar Syrup, Distillery Grade Invert Sugar Syrup, Natural Sweetner, Caramel and Flavored Syrups. We are looking bulk inquiries from Delhi, Delhi NCR, Mumbai, Chennai, Kolkata, Bangaluru, Ahmedabad, Hyderabad, Bhilwara, Alwar, Agra, Meerut, Aligarh, Allahabad, Banaras, Mathura, Jhansi, Ghaziabad, Noida, Bareilly, Moradabad, Saharanpur, Uttar Pradesh, Punjab, Chandigarh, Jalandhar, Amritsar, Ludhiana, Bathinda, Pathankot, Patiala, Hoshiarpur, Himachal Pradesh, HP, UP, MP, Shimla, Dharamshala, Uttrakhand, Dehradun, Haridwar, Roorkee, Rudrapur, Baddi, Rishikesh, Nainital, Udham Singh Nagar, Indore, Bhopal, Jabalpur, Gwalior, Dewas, Gujrat, Surat, Vadodara, Rajkot, Bhavnagar, Jamnagar, Gandhinagar, Karnataka, Davanagere, Belgaum, Hubli, Chitradurga, Tamilnadu, Coimbatore, Madurai, Salem, Trichy, Tiruppur, Erode, Vellore, Kerela, Kochi, Thiruvananthapuram, Kozhikode, AP, Andhra Pradesh, Visakhapatnam, Vijayawada, Warangal, Guntur, Nellore, West Bengal, Asansol, Siliguri, Durgapur, Bardhaman, Bihar, Patna, Gaya, Bhagalpur, Muzaffarpur, Jharkhand, Jamshedpur, Dhanbad, Ranchi, Assam, Guwahati, Agartala, Shillong, Haryana, Karnal, Ambala, Panipat, Rohtak, Hisar, Faridabad, Gurgaon, Maharashtra, Pune, Nagpur, Thane, Nasik, Aurangabad, Rajasthan, Goa, Jammu, Srinagar, J&K, Chhattisgarh, Raipur, Bhilai, Bilaspur, Korba, Odisha, Bhubaneswar, Cuttack, Rourkela, Navi Mumbai, Virar, Kalyan, Bhiwandi, Puducherry and all over India.